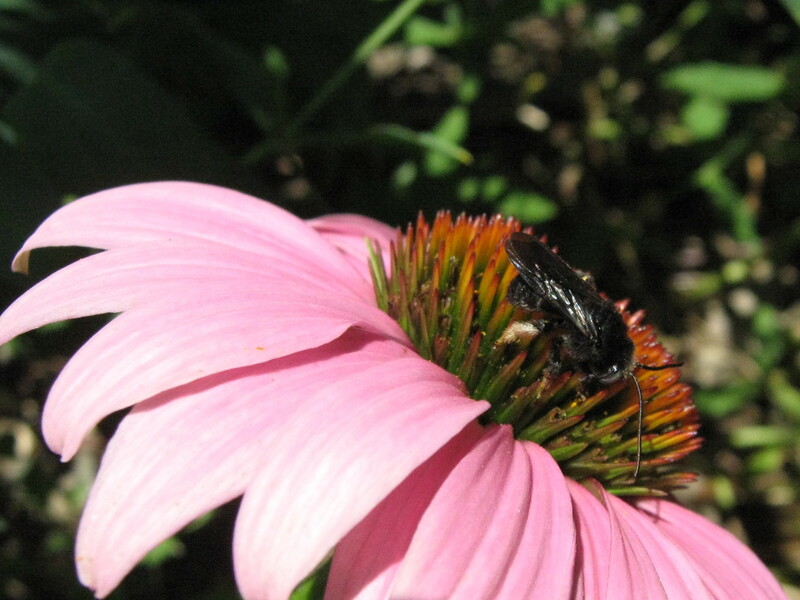 As I said earlier, the coneflowers have been a happening place for bees since the middle of July. 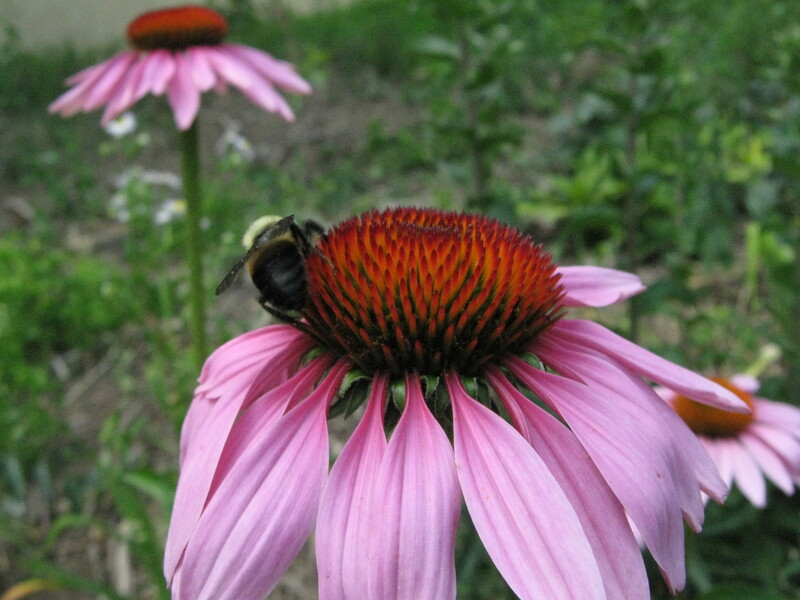 Other flowers have been popular party places, but nothing seems to have attracted so many bees for so long as the coneflowers. There’s still lots of bees, but the flowers are getting a bit ratty looking, and so I’d rather show off how they looked when they first colored up. All the usual suspects have shown up. 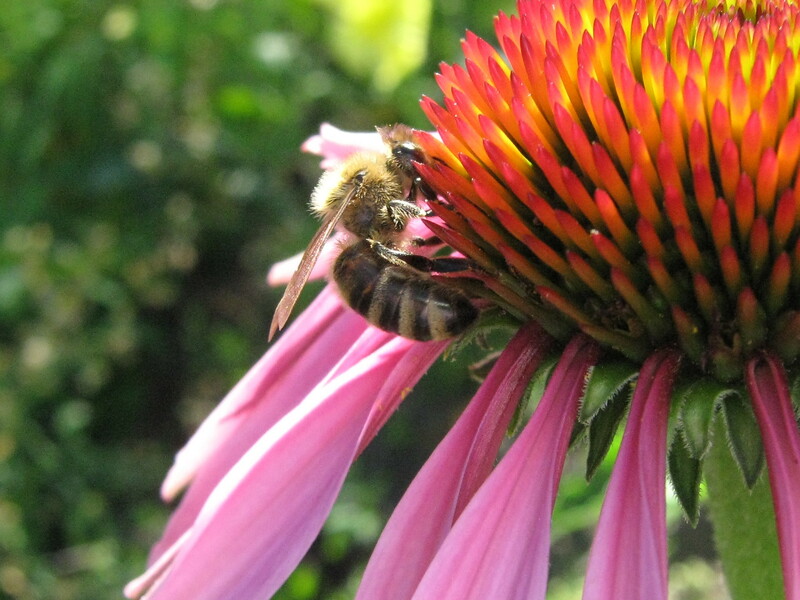 The honeybees were the first to find them. 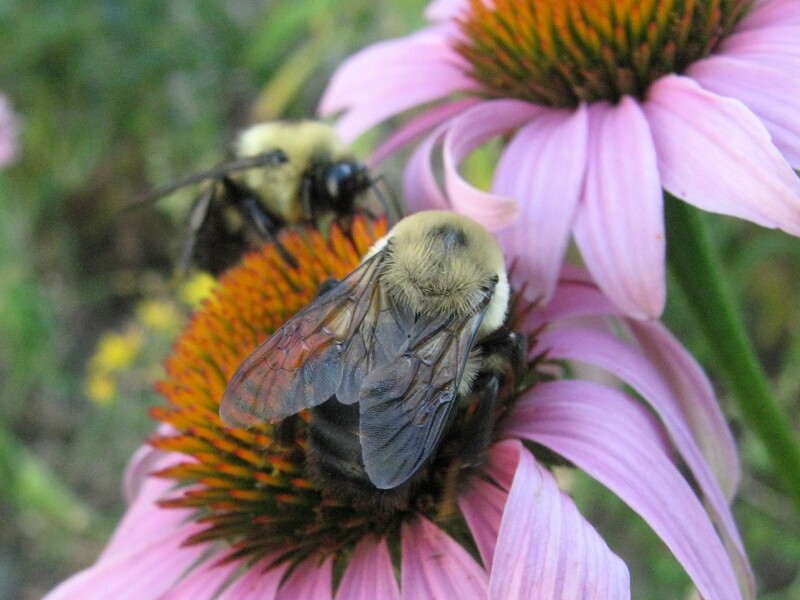 There’s always bumblebees jostling for space. Sometimes I see Melissodes bimaculata, a black bee that has also turned up in the squash blossoms. And if I look close, I can find these little sweat bees, Halictus ligatus, that I like to call “saddlebag” bees, from the way they carry the pollen. 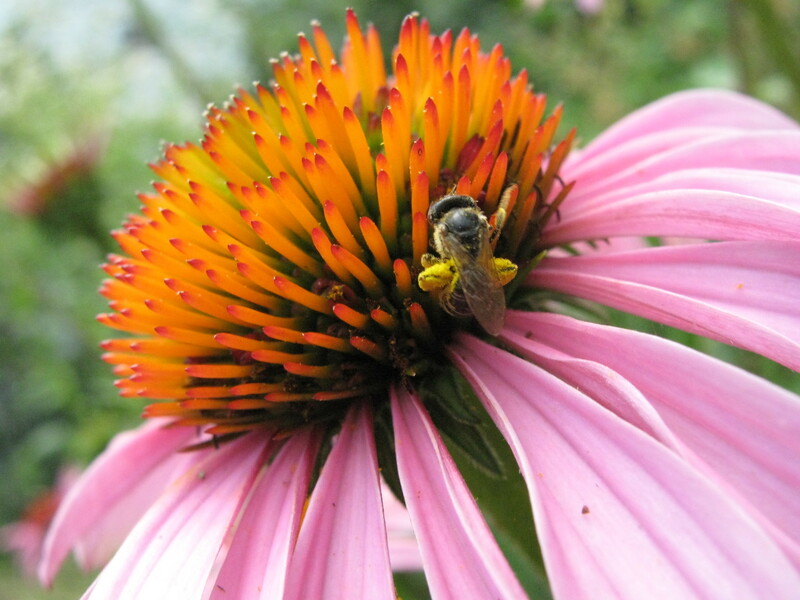 This is such a fantastic flower for bees!